It looks like benchmarks of server and datacenter CPUs are the highlights of leaks these days as most of the consumer stuff has already been released to the market. The latest leaks come from HKEPC Facebook page where a moderator has posted results of not one but two upcoming data center CPUs. These include the AMD EPYC Rome and Intel Cascade Lake Advanced Performance CPUs. We know that Intel and AMD are aiming the release of their next-generation server CPUs in 2019. AMD has already publicly demonstrated and showcased the EPYC Rome processors based on the 7nm process node from TSMC. Their presentation last month gave us a good list of details and the 7nm Chiplet design along with the 14nm I/O die, coupled on a single package looked very neat. On the other hand, Intel has their new Cascade Lake Advanced Performance processors coming out that will rock an MCP (Multi-Chip Package) design. Each of those CPUs would pack 48 cores and 96 threads along with cache improvements, although, Intel would be relying on the existing 14nm++ node. Intel has previously mocked AMD for using an MCP design and called it several dies ‘glued’ together but against really tough competition from the EPYC family, Intel has been forced to use the same design themselves. 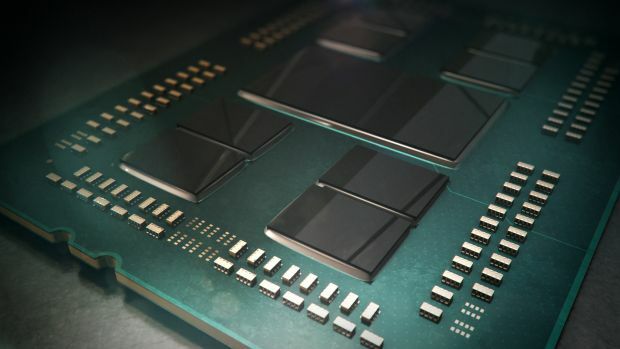 It is yet to be seen if Intel’s design is anywhere close to AMD’s Chiplet-level design or they would be using a more conventional design methodology which we saw on the first generation EPYC CPUs. 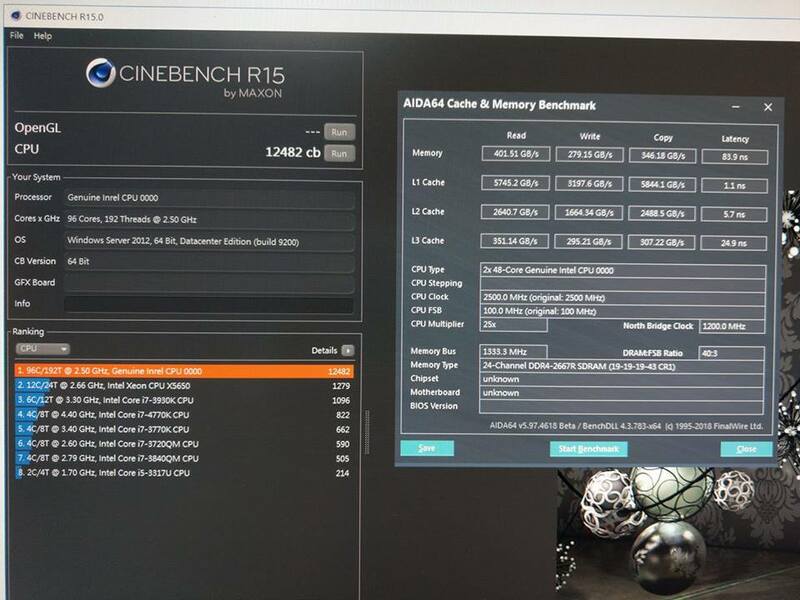 Now coming to the benchmarks, we first have the AMD EPYC Rome benchmark. The platform is a 2S design which means that two CPUs were running and we see a total of 128 cores and 256 threads (64 cores and 128 threads per CPU). The CPU has a base clock of 1.80 GHz and ends the test under 5 seconds with a reported score of 12861 points. That’s pretty impressive considering the score was obtained two months ago and many optimizations are being made to EPYC Rome before it’s final deployment in servers. The second score is for the Intel Cascade Lake Advanced Performance Xeon processors. Again, two CPUs were tested as the Cascade Lake-AP platform is designed as a 2S-only solution as mentioned in the presentation slides. The platform featured 96 cores and 192 threads (48 cores and 96 thread per CPU). 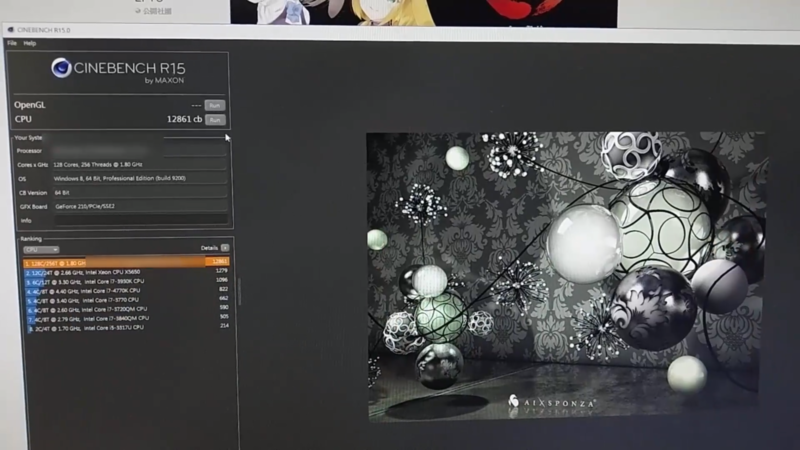 The clock speed was configured at 2.50 GHz (base) and hit scores of 12482 points. Once again, the score looks really good if we are to consider the less core and thread count on the Intel CPU. We are looking at 16 fewer cores and 32 fewer threads on the Intel Xeon CPU. While the clock speed is indeed high, I think we can’t really compare the two chips from that perspective since we don’t know the boost clocks and these may not be the final clocks at all. Regardless, we see Intel and AMD very close to one another with AMD showing an impressive return to the performance server market after disrupting it once with their first gen EPYC parts. Intel, on the other hand, is going all out with their MCP design which will be an interesting turn of events for the company in the coming years of the cores war era. Which server processor solution is more disruptive in your opinion?